This second edition of Models of Madness challenges those who hold to simplistic, pessimistic and often damaging theories and treatments of madness. In particular it challenges beliefs that madness can be explained without reference to social causes and challenges the excessive preoccupation with chemical imbalances and genetic predispositions as causes of human misery, including the conditions that are given the name 'schizophrenia'. This edition updates the now extensive body of research showing that hallucinations, delusions etc. are best understood as reactions to adverse life events and that psychological and social approaches to helping are more effective and far safer than psychiatric drugs and electroshock treatment. A new final chapter discusses why such a damaging ideology has come to dominate mental health and, most importantly, how to change that. Section One provides a history of madness, including examples of violence against the ‘mentally ill’, before critiquing the theories and treatments of contemporary biological psychiatry and documenting the corrupting influence of drug companies. Section Two summarises the research showing that hallucinations, delusions etc. are primarily caused by adverse life events (eg. parental loss, bullying, abuse and neglect in childhood, poverty, etc) and can be understood using psychological models ranging from cognitive to psychodynamic. This book brings together thirty-seven contributors from ten countries and a wide range of scientific disciplines. It provides an evidence-based, optimistic antidote to the pessimism of biological psychiatry. 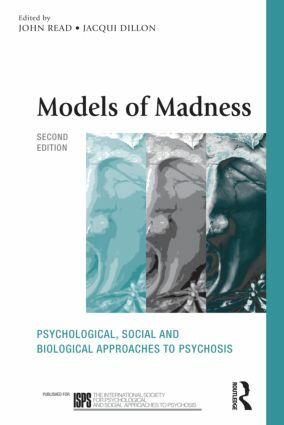 Models of Madness will be essential reading for all involved in mental health, including service users, family members, service managers, policy makers, nurses, clinical psychologists, psychiatrists, psychotherapists, counsellors, psychoanalysts, social workers, occupational therapists, art therapists.